The originator of the color change humidity indicator card, Clariant Cargo & Device Protection leads the industry with a wide array of Humitector® humidity indicators. 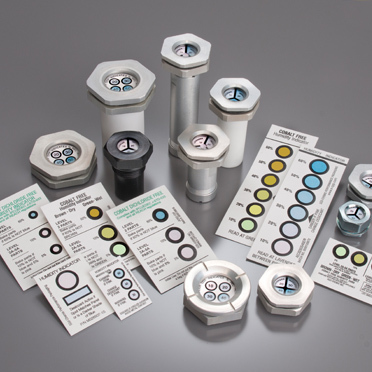 Following the most rigorous quality standards, including strict color meter testing, Clariant’s humidity indicator cards and humidity indicator plugs are designed to meet standards set forth by military agencies and electronic/semiconductor companies, such as Mil-Spec and JEDEC respectively. 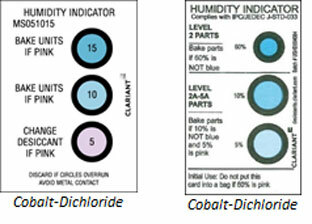 Humidity Indicators help ensure dry packaging methods are working. 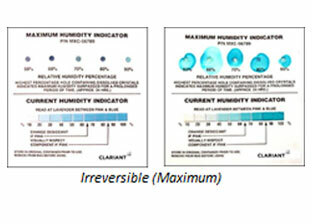 Reversible humidity indicator cards work much like a thermometer, fluctuating to indicate the current relative humidity level. Irreversible (also referred to as Maximum), cards are designed to indicate the highest relative humidity level to which goods have been exposed. Clariant offers Maximum humidity indicator cards to the logistics industry, as well as humidity indicators for preservation and commercial applications. 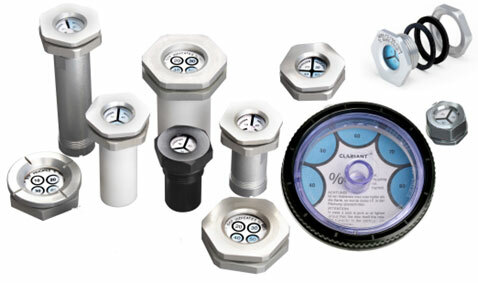 Desiccator plugs both indicate and control humidity levels within the container. Specially engineered for military applications.